Just over 40% of app users do not use mobile technology in the workplace, which we consider them to be missing out, big time. 63% of those who are using mobile apps at work report their go-to applications save them time, almost a full day a month. 39% indicate they allow them to stay on top of their daily tasks, and 53% say they help them work while not at their desk or physically in the office. Increased use of mobile applications in the workplace can make for happier and more productive employees as indicated in research done by webexpenses. Their research concluded that people using mobile technology at work are 21% happier as opposed to those who don’t. Roughly half of employees say there are not enough work hours in the day to get everything accomplished and 22% say it can be hard to manage their workload. Mobile technology and applications can help tremendously to improve time management and efficiency. Some employees use third party applications, while larger companies are investing in personalized mobile technology apps to help their employees throughout the day. Task management apps ranked the top favorite for workplace users. Suggested Reading: "How to Build the Right BYOD Solution: 4 Must-Have components"
Utilizing mobile technology saves employees an average of 86 minutes per week, almost an entire workday in total by the end of the month. The incorporation of mobile technology allows employees to work on the go, collaborate with other employees easier, and keep track of their tasks, which all leads to increased productivity and of course happier employees. Businesses may want to know what’s in it for them aside from increased employee happiness, but how about their bottom line? The research also concluded that using apps in the workplace has a positive effect on the business’ finances. 37% of companies said that apps allow their businesses to be more profitable saving hard and soft costs. One reason is inefficient wireless network infrastructure. 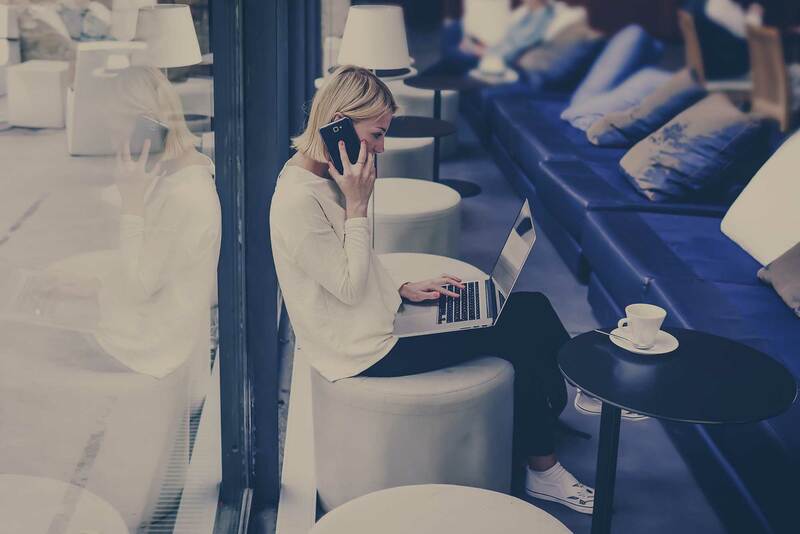 For mobile technology apps to unleash their full benefits, employees and companies need to have proper wireless network capacity and coverage across their businesses to ensure their apps work efficiently. A poor network connection or lack of bandwidth can result in mobile technology not working properly, actually making employees frustrated, upset and most importantly less productive. When you rely on technology to not only enhance but actually do your job, experiencing IT issues such as applications not working properly or at all isn't an option. To make sure every device and application can be full supported and preform as they are expected to starts with the right wireless network design. Every WLAN design is unique and requires experienced engineering to get it right the first time. At SecurEdge we want you to embrace the mobile world and all of the technology it has to offer and can help you do so by creating the foundation for an efficient and highly functional wireless network to enable you to reach all of your technology goals. If you have any questions about your current or future wireless network design, please contact us here for a detailed consultation. Next Post: Why is a Captive Portal Important for Wireless Guest Access?